Former Savannah State football player Luther Mayfield died on March 24. Mayfield, 54,who was living in Toledo, Ohio, recently went open heart surgery. 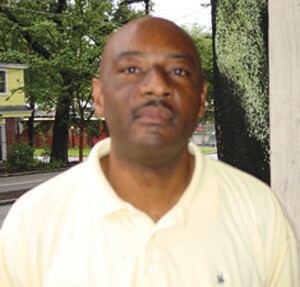 The Royston, Georgia native played on the defensive line for the Tigers in the early 1980s under former coach Frank Ellis. A deacon at Friendship Baptist Church, Mayfield was team captain in 1984 and ‘85 and was named the team’s most valuable defensive lineman. Mayfield’s funeral was March 29 in Ohio. Savannah State football coach Earnest Wilson III is calling for all former SSU football players. Wilson and his staff are putting together a flag football game of former Tiger players and alumni from the 1980s, 90s and 2000s. The game(s) will be played prior to the SSU spring football game on April 12. The cost is $50 per player and checks should be made out to SSU Football Agency Account. Participants will need to bring their own cleats and workout gear. Teams will be limited to 10 players. RSVP by April 9. For more info, contact Michael Wallace at 912-358- 3470 or wallacemi@savannahstate.edu. It took 10 innings but the Savannah State baseball team defeated North Florida 2-1 at Tiger Field on March 26. With two outs and the bases loaded, Mendez Elder reached base thanks to an error by the shortstop which allowed Michael McHugh to score the game winning run. McHugh had three hits for the Tigers in the win. SSU played at Bethune-Cookman on March 29 but the game was cut short by bad weather. On March 30, the teams finished the contest and the Tigers won 5-0. Charles Sikes had three hits, drove in two runs and scored twice while Austin Denney struck out four batters in six innings. The Wildcats swept a double header from SSU later in the day with wins of 4-3 and 5-1. Elder had a solo home run in the first game while parker Nix had two hits for SSU (10-18) in the second game. Former Beach High School basketball standout Misty Knight Brown and her husband Teako gave birth to a daughter on March 24, 2014. Brooklyn Milan Brown was born at Piedmont Hospital in Atlanta. Brooklyn was 17 inches long and weighed in at 5-pounds and eight ounces. Misty, who is a assistant athletic director for development and special events at Georgia State attended the University of Florida along with her husband.